If you remember, I’ve been really impressed by the SOtM sMS-100. That product made me respect this company and also aroused my curiosity regarding some of its other products. Luckily, when SOtM sent me the SMS-100, they’ve also included a small surprise in the package, the sHP-100. I’ve been meaning to review this product for over a month now, but I’ve been caught in a lot of work and personal stuff. These being said, here we are at last. The unit resembles the mini streamer and has the same sturdy build quality. You can find more info about the product right here, but I will go through what seemed important to me. 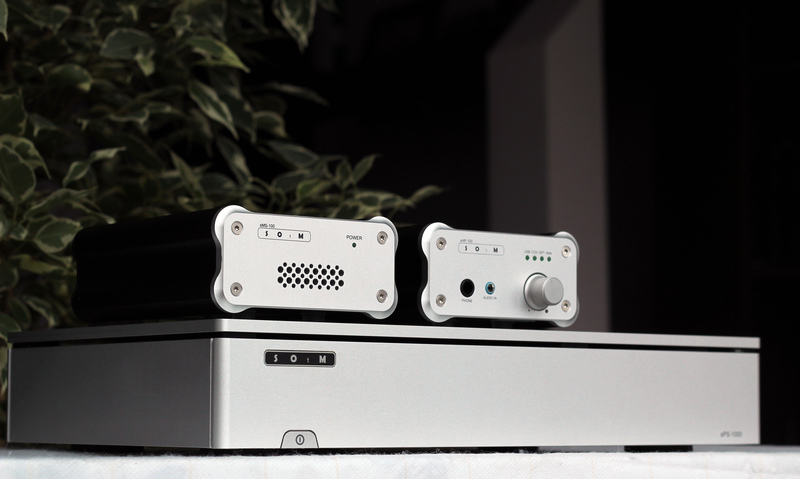 The sHP-100 is a headphone amplifier and DAC. It supports up to 24 bit, 192 Khz PCM, as well as 64x and 128x DSD playback. 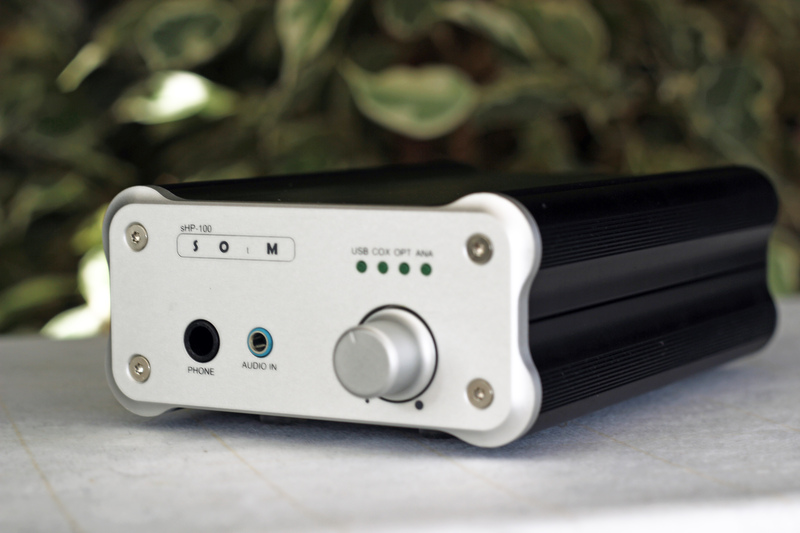 Power wise, the amplifier seems quite shy as it is capable of 0.36 watts, 0.21, 0.11, 0.036 and 0.018w into 30Ω, 50, 100, 300 and 600 ohms respectively. The unit supports USB, Coaxial, Optical and Analog line input and has headphone output as well as analog line output. As for DAC function of the unit, there is Line output select switch on the bottom side of the unit, you can set the analog line output to the variable line output or the fixed line output. If you set to the variable line output, you can connect the unit to Power-amplifier and control the analog line level by Volume control knob on the front side of the unit. If you set to the fixed line output, you can connect the unit to Pre-amplifier or Inti-amplifier. As for headphone output, you can control the output by Volume control knob on the front side of the unit, and set the output impedance of headphone by Headphone impedance select switch on the bottom side of the unit. This product seems very flexible, as you can use it just as DAC or just as headphone amplifier, making the unit even more versatile. I’ve seen more expensive products lacking this feature. So if you were wondering what was the 3.5 jack input from the front plate of the sHP-100, it is not just a smaller headphone output. Actually it is the analog input. 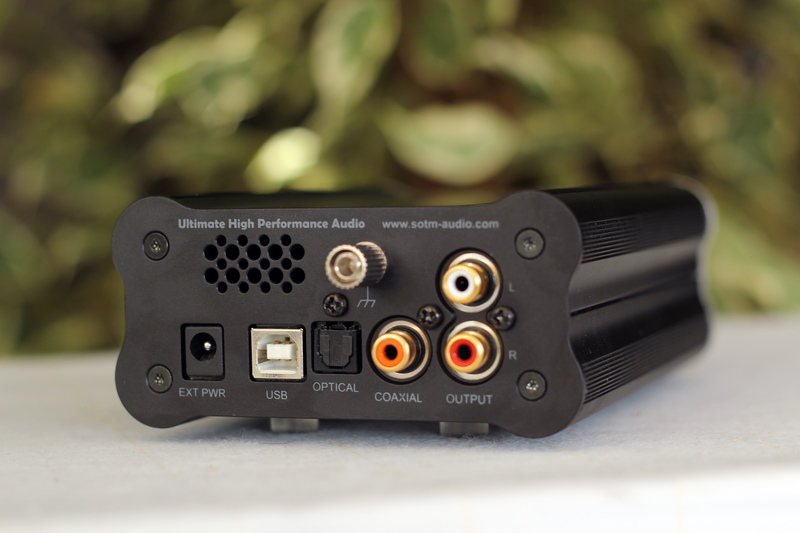 The unit use AK4113 Dir chipset of AKM for Coaxial and Optical digital input and supports 24bit/192KHz playback. For USB input, it supports 24bit/192KHz PCM and DSDx64, x128 playback through multi core RISC processor by XMOS and also USB audio class 2.0. All digital input sources translate via CS4398, Flagship DAC of Cirrus Logic to analog signal and output via LME49720 & TPA6120A2 of TI which are one of the best audio OP-AMPs & headphone amps. Also the unit minimizes the distortion of audio signal by the volume control circuit using exclusive audio variable resistor of ALPS. For the high quality power supply, ULNR(Ultra Low Noise Regulator) is used for digital&analog circuit. Extremely Low Jitter Oscillator and Active Noise Canceller is used for clock circuit which is the most important part of the DAC module, these technics prove making the best sound among any same level devices. And now another thing I found very interesting about this product: it can run only on the usb power. 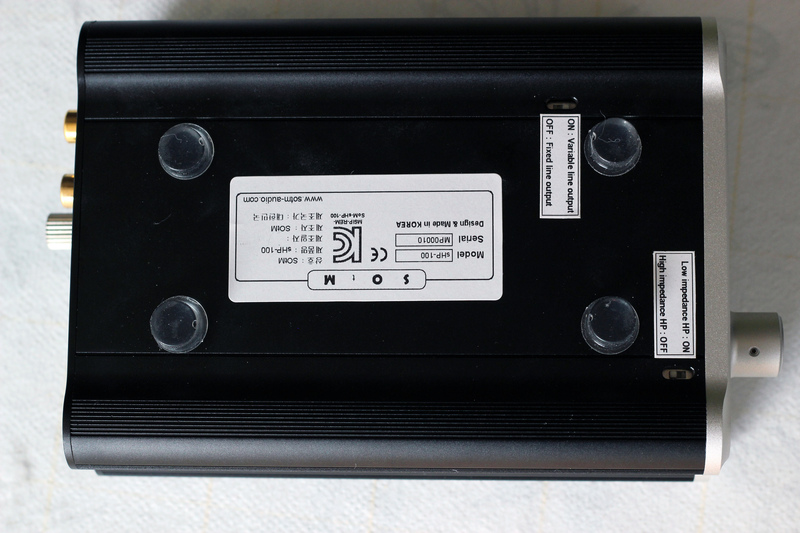 It also has a power input that can be used with the mBS-d2S battery power supply or the bigger sPS-1000 linear power supply. But, yes, it can run only on the USB power from the USB input. When I saw this, I got skeptical again of the amplifier’s capabilities of driving my HD800 & LCD-X. The tests have been done with Audio-Gd Master 9, MSB Analog Dac, AG500 Power Regenerator, Sennheiser HD800, Audeze LCD-X, sPS-1000 linear power supply. The first thing that crossed my mind when I saw that the sHP-100 gets it’s power from USB was to try my Forza Hybrid Split USB cable that takes the signal from the PC and the power from a linear power supply inserted in the power regenerator. No surprise here. The sound scaled a lot. Everything became clearer, as the sound gained transparency and details. The bass was punchier and more controlled. Everything was better than with a normal usb cable and it was clear as day and night. I have experienced similar results with the big linear power supply, the sPS-1000, but to a greater extent. Having the Hydra-X on my desk, I wondered how it will pair with the coax input from the sHP-100. Inserting the coax cable from hydra to this device, I noticed there was no input selector. After I investigated a little, I found that the volume is the input selector. To use it for this purpose, you have to push the button a little longer, as if you only push briefly, it will act as a mute button. Hydra didn’t let me down, as it improved the sound giving it more details, larger soundstage and a more natural tonality. However, I think that the usb input from sHP-100 while not quite as good as Hydra, is good on it’s own. Well, remember when I said I was be skeptical with sHP-100 driving my hd800 and lcd-x? Well, the unit was a pleasant surprise, as it drove both cans better than I expected. The big surprise was HD800, as they are quite picky with the amplifier, but sHP-100 seemed like quite a good match with it, as it had good PRAT, punchy and present bass with no harshness attached to the treble. Let’s go through some songs. The voices were well delimited and had a pleasant presence. The quire from the back showed a large soundstage and good positioning. The drum was impressive with a good impact. The flute was well extended and a pleasure to listen to. The guitar was very sparkly showing good attack and instrument extension. Every time I’ve listened to this song I’ve been impressed by it’s energy. sHP-100 managed to transmit that energy quite well. The sound showed fast transients with good attack and quick decay. I would have wanted a little more weight in the guitar’s body and a slightly larger soundstage, but overall the song was enjoyable. The voices had a good texture, tonality and presence. I could hear the voice coming from the throat. The drum had a good impact throughout the song. The plucks of the guitars were pleasant and sparkly while the electric guitar showed a good extension and brought a holographic experience to the sound. The drums started very well in this song, showing both good impact and depth. The guitars were again very sparkly as you could hear the plucks very clear. Actually all the details of the instruments were quite good. Hugh’s voice showed very good extension and presence with a natural and pleasant tonality. This song is a benchmark for me and few dacs impressed me on it. These being said, the sHP-100 was quite a pleasant surprise here as well. The level of details, instrument separation, soundstage and instrument extension were quite impressive. This little device from SOtM got my attention again. Leonard’s voice had a very detailed and tactile texture. You can feel how the voice got out of the throat. It wasn’t just another voice. It was a person attached to it. The bass is quite ok, even on HD800 which is quite picky in this frequency range. It has good punch and control. It also has decent depth, but it would have been even better with a little more body attached to it. I found the mids to be one of the strong points of the unit. All the instruments had very good details and extension. The voices were present and well detailed as well. The treble was detailed and extended without being harsh, not even on HD800. Actually, when it needs to be sparkly, the unit does it in a very pleasant manner. The voices have a natural and pleasant tonality. They also have a very good and detailed texture, attaching the singer to the voice. It’s a real pleasure listening to good vocals on the unit. The unit offers good transparency, especially when fed good power. While not the largest soundstage I’ve heard, it was very proportionate and sounded natural to my ears. The instruments were easy to pinpoint as they were well layered throughout the scene, especially with my Hydra-X attached to it. sHP-100 impressed me on different occasions showing very detailed instruments and voices. I love how the guitars and other instruments sound on this little box. The sound could be quite energetic and fast. This is because of the transients with good attack and fast decay. The sHP-100 is another product that makes me wonder how it can sound so good at it’s size. It was a good match for all my headphones, from Sennheiser HD800, Audeze LCD-X to Focal Spirit Classic, Sony MDR-1R, etc. This shows that it has no coloration of the sound. Actually the sound is quite neutral, making it easier to match with different headphones and gear. Besides it’s good sound quality, I love how versatile this product is. 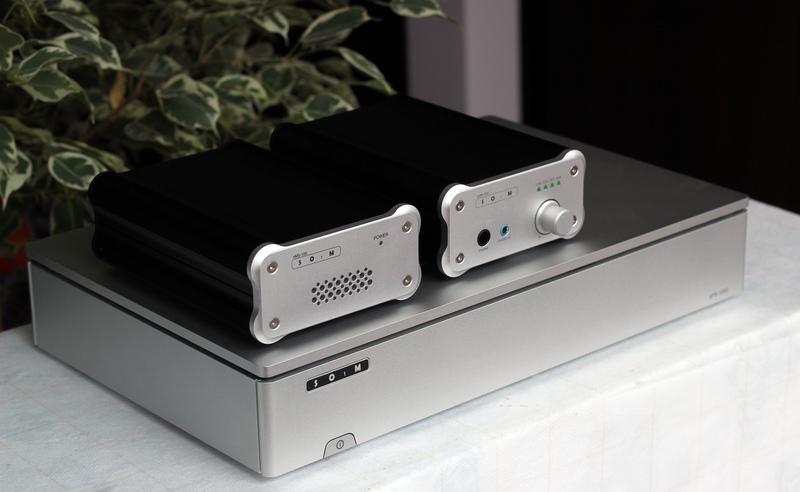 You can use it just as DAC or just as amplifier. You can power it directly from the USB, but it also gives you the possibility of improving the sound with an external power supply.